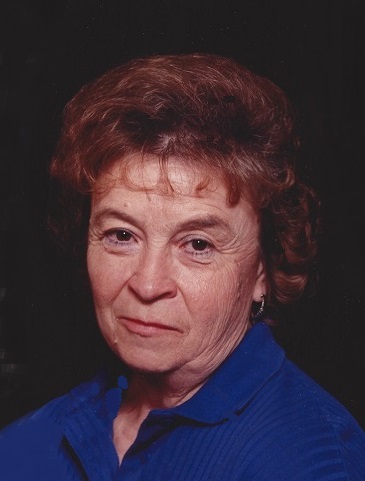 Shirley M. Sarver, age 83, of Plainville, Kansas, died Monday, January 14, 2019, at the Good Samaritan Society of Hays. She was born on August 28, 1935, to Paul and Stella (Purder) Doty. She married Elmer Lee Sarver in 1952, at Natoma, Kansas. He preceded her in death on June 1, 2013. She was a homemaker and lived most of her life in Plainville, Kansas. She moved to the Good Samaritan Society of Hays in 2017. Shirley was raised on a farm in Rooks County and graduated from Natoma High School. Survivors include one son, Mikel E. Sarver, Hays, KS; and five grandchildren. She was preceded in death by her parents; her husband; and one daughter, Teresa Sarver; one brother, Leroy Doty and one sister, Pauline Finch. A private family inurnment will be at the Plainville City Cemetery, Plainville, Kansas. The family suggests memorial to the Good Samaritan Society of Hays in care of the mortuary.